This course enhances you as a person and enables you to help children and adults with complex needs and enhance their life too! There is constant practical and academic tuition, support and feedback throughout. A truly fantastic degree that makes a difference! In 1997 the National Institute of Conductive Education formed a ‘training department’ to deliver a BA Hons course, in conjunction with the University of Wolverhampton. This course is still the first and only of its kind in the UK which trains new ‘conductors’ to help spread the work of Conductive Education worldwide. To date over 90 students have graduated from the course and are working across the globe with thousands of children and adults with neurological motor disorders. The training of new conductors is an essential part of the overall development of Conductive Education and enables us to not only provide a new generation of professionals but also to develop practice in line with social and economic developments. In 2011 the training department further expanded its role and status and formed an independent ‘Conductive College’. The aim of the college is to provide a range of accredited and non-accredited training courses for professionals, families and carers in the field of Conductive Education. Courses, leading to a qualification, will be accredited by bodies including the Open College Network and Birmingham City University. The recognition of the importance of research and evaluation in this specialised field will also play a key feature in the work moving forward. 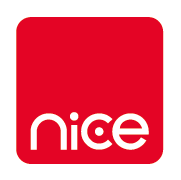 The conductive college is a key tool for the development of Conductive Education in the future and an essential part of the work of the NICE.